MetaCell®technology uses a capillary–action driven size-based separation of rare blood cells from the unclothed peripheral blood. The MetaCell® is a simply one-step process: the separation and detection of rare cells within a single step. Approximately 10 ml blood is passed through MetaCell membrane. The collection of the CTCs/DTCs on the separating membrane takes 2 minutes. MetaCell® technology does not require any expensive equipment and additional investment. 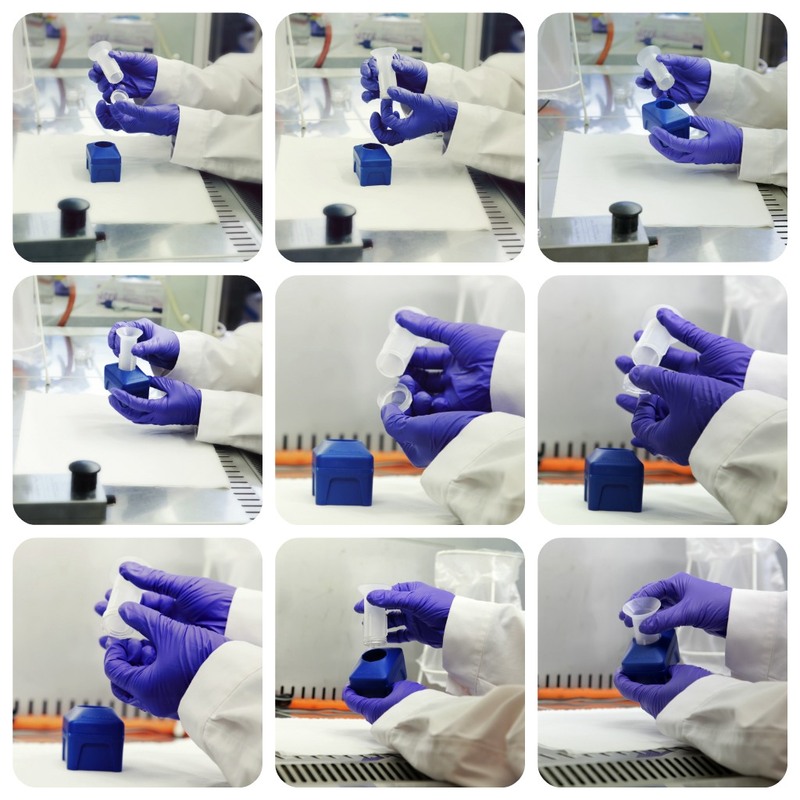 One test = one tube – set, no more costs. MetaCell®technology is size-based sensitive to rare cells in peripheral blood without dependency on the tumor cell membrane antigens (EpCAM, HER2, MUC1, EGFR etc.). MetaCell® technology is suitable for rare cells enrichment as well from epithelial type of cancers as from mesenchymal cancers. The technology enables separation of circulating endometrial cells from blood of endometriosis patients. MetaCell®technology is soft to the separated cells, keeping them viable. MetaCell test is a noninvasive test bothering the patients minimally. After the separation process viable intact cells are suitable for subsequent characterization and/or in vitro cultivation. The cell separation and cultivation platform combines sophisticated size based separation with cultivation on the membrane principle.